On the morning of her 18th birthday, my goddaughter registered for her Voter’s Identification card (VID). That was first on her to-do list for that day. Two weeks later, she collected her VID, and is now contemplating the possibility of voting in the upcoming general election. That got me thinking about other young people who have turned 18. Have they registered to vote? Have they been encouraged to register? Do they know how and where to register? Questions which led me to the Births and Deaths Department of the Ministry of Health to peruse the Registrar General’s Annual Reports from 1998 to 2016. These reports are compiled with data from Immigration, District Revenue Offices, the General Hospital and the Supreme Court Registry. A cursory perusal of the reports showed 34,448 births between 1998-2016. Allowing for reported deaths of 830 persons (up to age 19) over the same period but excluding migration figures (which only show departures and arrivals), there are potentially 33,618 persons in the 18-20 age group available to vote in the 2018 General Election. About 30% of the current population (110,910 in 2016) is the Youth Vote. impact on the general election, and what that would mean for the next administration, and their policies that affect overall youth empowerment. The recently released updated voter list shows that 75,954 persons are eligible to vote. On 28 January, the date of the general election is expected to be announced. With less than 6 days until our 133 square mile paisley-shaped world turns temporarily on its head, on Monday, I had an informal chat with a group of 11 young adults, a random mix of 4 males and 7 females, who at first did not wish to talk about ‘registering to vote.’ But they were polite enough to listen. Registration is a relatively painless process where you fill out a form, present your passport or birth certificate, stand or sit still for a photo, have your height taken, scribble a digital signature and 2 weeks later, you are the proud owner of a VID and in the Parliamentary Election Office’s (PEO) database. While registration is continuous, upon the issuance of a Writ by the Governor General, registration ceases. I understand that writ can come fairly shortly after the election date is announced. Do they have a voter’s ID? Have they registered to vote? Are they planning to register? Are they planning to vote? Are they aware that 18 is the age to vote and to be voted into office? Have they thought about running for office or putting together a youth party to represent the voice of the youth – outside of the existing parties? Also, if they had one piece of advice to give to the next government, what would that be? As it turned out, of the 11, 8 already had their VID; 7 were going to vote, 1 was waffling. None of them have previous voting experience. The ones with the VIDs got the card initially to have a photo ID. 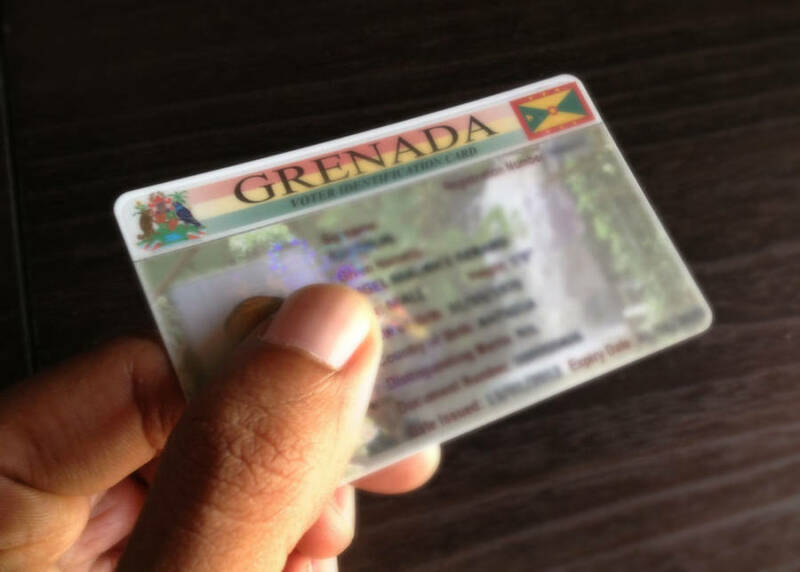 Mind you, it has been my experience that the National Insurance Scheme (NIS) card is the preferred form of identification over the VID (in banks, and at one hotel if you require local/CARICOM rates). Why the VID is not an NID (national identification) or better still, an MPID, I have no idea. In 2014 there were reports of the Multi-Purpose Identification (MPID) card, being undertaken by the Ministry of ICT. Unlike public servants and police officers who have already been ‘captured,’ I and the rest of the population await. The home environment can have a large impact on a person’s engagement. Youth who live in an engaged household that votes, are more likely to do so themselves. Happiness and voting do not necessarily find common ground in a sentence, but I asked the 11 how many have family members who have voted? All hands up. After voting, have the family members come back looking happy? Happy? Relieved maybe, but happy? One voice said, “Of course they are happy. They have voted for the person that they know, not necessarily the right person for the job, or who has done what’s best, but for the person that they know.” That led to open murmurings of politicians, untruths, empty promises, and the like. Personal insights or parroting of the general discontent of the great disconnect? Hmmm. I was asked, how do I know who to vote for? My response …read the papers (in print or online), listen to the candidates, see what they have been doing (in the community and nationally), watch their body language, and you will know. And once you know, vote. Sitting on the fence, abstaining, will get you and the rest of us nowhere. Alternatively, run for office. About 4 years ago, I spoke to a group of 20+ young adults about national icons. At the end of the presentation, the question of voting and representation came up. I was asked ‘what’s the point of voting if nothing changes?’ My response, ‘you are over 18, create your own group of like-minded persons, represent your community. Move forward from there.’ Make change happen. I repeated that to the group of 11, in response to virtually the same question, and was not overly surprised that they seemed unaware that they could potentially make a difference: by voting and by running for office. At least, I told them, if you organise (and register) a ‘party,’ your voice and the voices of people like you will get the opportunity to be heard. I guess they never saw the 2008 movie Swing Vote, where the presidential race was determined by one man. I am not sure why there isn’t an app for the whole ‘registration to vote’ process, identifying and simplifying a channel, the channel, for young adults, the ‘30%’ to participate in election-related learning, activities and discussion, and mobilise around political and social issues. To get their voices heard. Several of the 11 were interested about voting for an individual over a party. One theorised that he could use reverse voting, to give someone else a chance. A pity our system does not allow for (or is not allowed to provide for) the election of independent candidates: regular people committed to good governance, without vested interests. We could always take an example from Kuwait, where apparently political parties are unlawful and all candidates stand as independents. Our 30% subset of the electorate? Their voices matter. Their participation can influence election results, (not to mention their futures.) But how to do this? And can it be done in time for this round? Social media (including that elusive app). GIS Show and Tell: From registration to voting. Available almost year-round…like hurricane reminders. Positive person to person contact: Tertiary level institutions, via NGOs, social, sport and community groups. Positive messages about registration, the ease of doing so at zero cost to the person registering. Cross-pollinate: When someone goes to collect a new/renewed passport, NIS card, Driver’s Licence or citizenship certificate, there should be literature to encourage voter registration. In the 2013 GE, the top 2 political parties took the bulk of votes, leaving the remaining sliver to the invalid votes, the other parties and independents on the ballot. In 2018, the same 2 parties seem to find it difficult to meet face to face for public debate. Given that they have both ‘won’ this particular race on different occasions, one would think there is enough to talk about. If we can’t get the party leaders on the same platform for face to face public debate, maybe we need to hold national youth debates, or better yet, open mic in the community centres. That bit of advice to government from the group of 11? Keep your word, provide opportunities for youth employment/development, and get on with the business of running the country. Grenadian parents’ birth certificate for naturalised Grenadians.